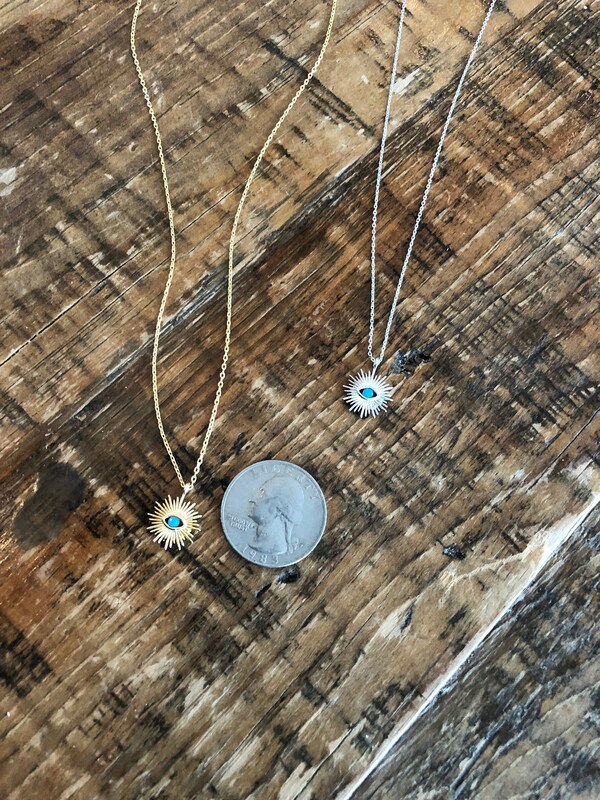 Evil Eye Pendant Necklace. 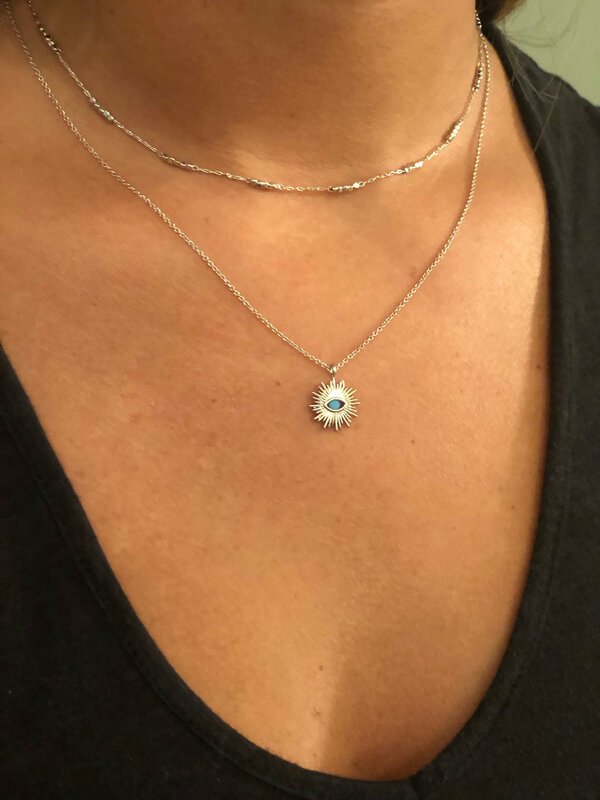 Silver Evil Eye. 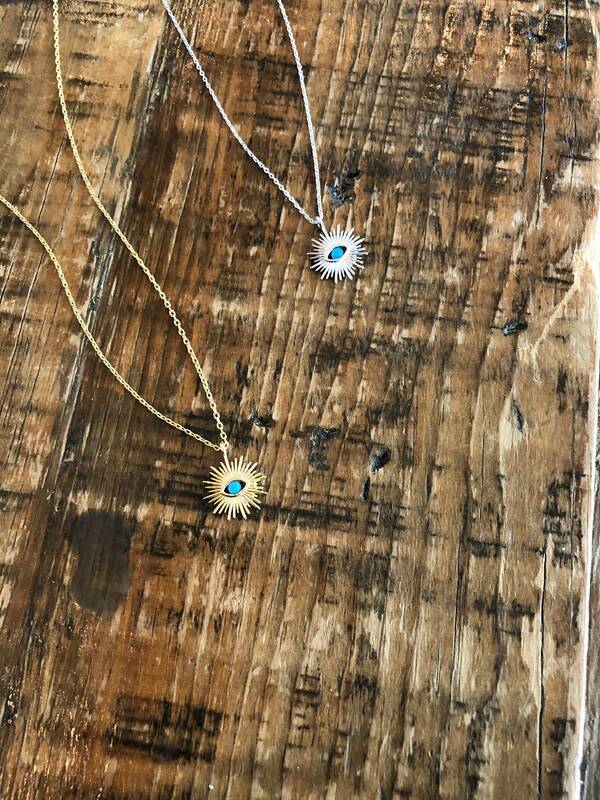 Gold Evil Eye. 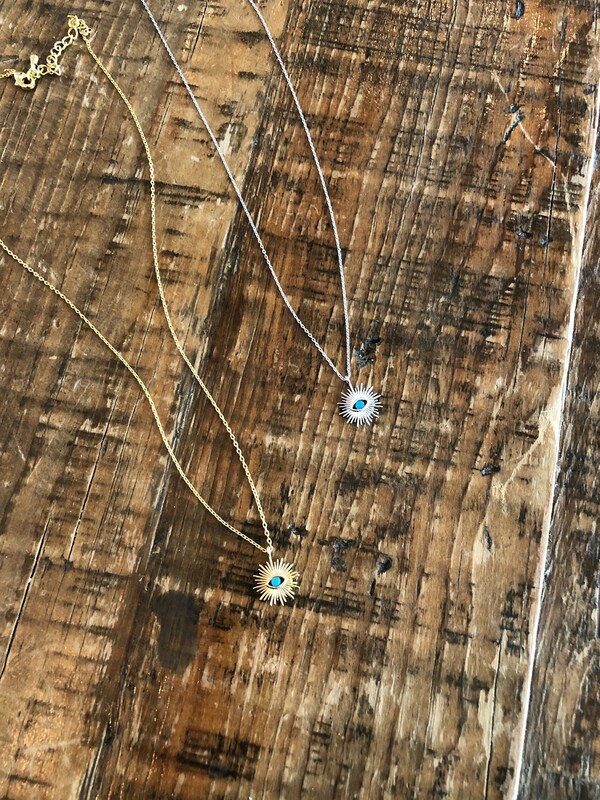 Turquoise Evil Eye. 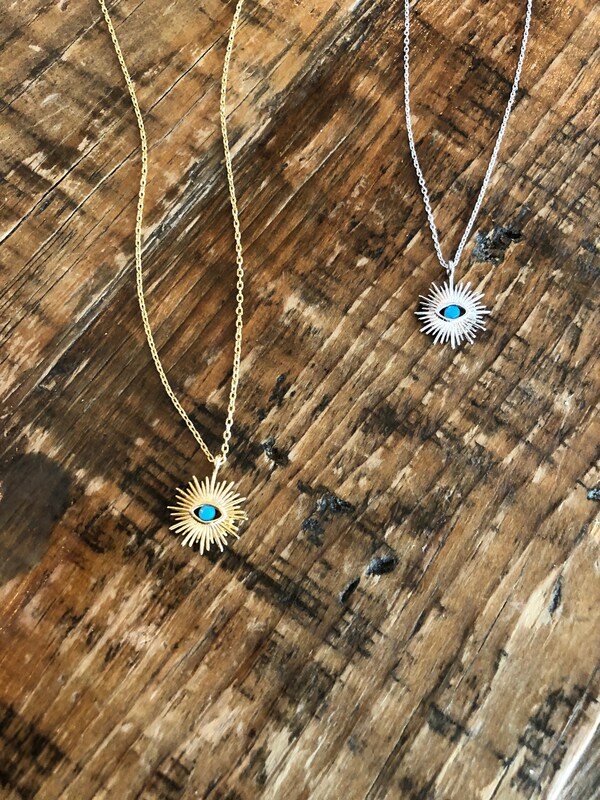 This evil eye turquoise pendant is so on trend right now! Grab one for everyday use. Super cute. Super trendy! 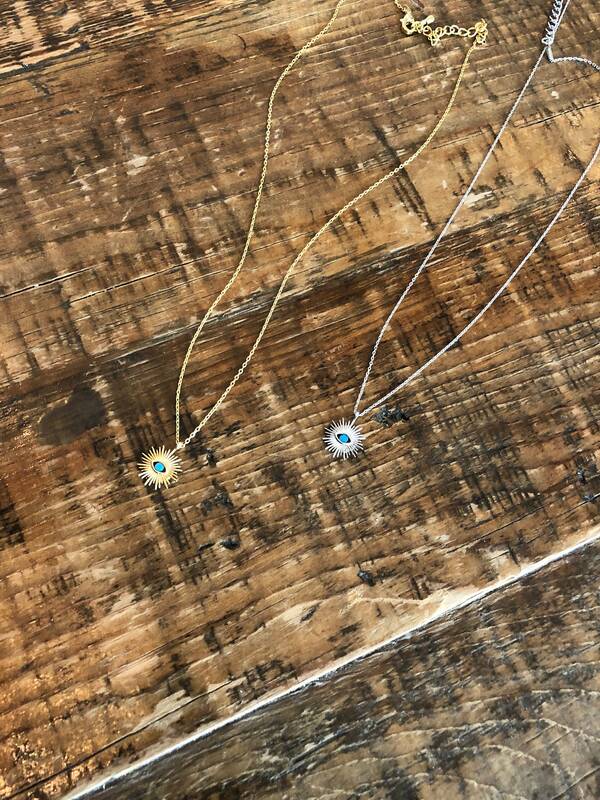 - 1 evil eye pendant necklace on 16" inch sterling silver or gold plated chain. Chain has a 2" in extension on it.